From order changes to tip splitting, today’s restaurants are looking for a better solution. That’s why we’re introducing Square for Restaurants, our first fully integrated point of sale that matches the pace, complexity, and specific needs of restaurants. Now the speed and ease of use that Square is known for is available to all types of larger restaurants, bars, and lounges. Caviar, Square’s robust food ordering platform, will also be integrated directly into Square for Restaurants in summer 2018, making Square the only company to own both the ordering platform and point of sale. “There’s always going to be curveballs that the restaurant life throws at you — Square for Restaurants is not one of them. It’s robust while retaining that trademark Square elegance and hassle-free service,” said Michael Solomonov and Steve Cook, cofounders of CookNSolo Restaurant Partners. Try Square for Restaurants free for 30 days. 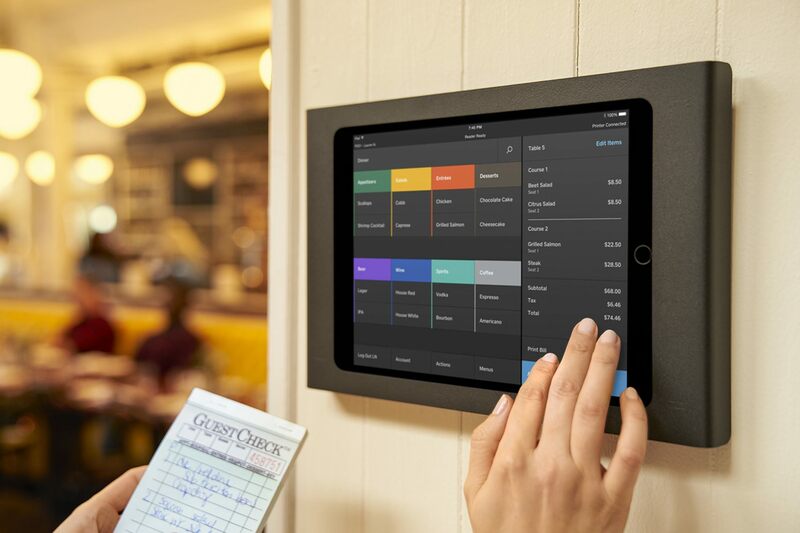 Square for Restaurants is our most sophisticated point-of-sale software yet, enabling fast, accurate operations for both the front and back of house. Fully customizable: However your restaurant is run, managers can easily update menus and floor layouts remotely across multiple terminals and locations. New conversational ordering: Let waitstaff place orders quickly and intuitively, the way diners speak, with powerful, intuitive modifiers. Built-in employee management: Enable staff performance and time tracking, tip splitting, fraud protection, and more. Make changes to your menu on the fly: It’s the fastest and easiest way to set up and change your menus across all your devices and locations. Control and preview exactly how your menu appears on the point of sale. Keep your workflows just the way they are: Powerful course management works with however you run your restaurant. Select any of your items, like beverages and salads, to straight fire automatically. Unlock cover reporting with advanced seat management capabilities. Caviar integration: Caviar and Square for Restaurants users will be able to see delivery and pickup orders directly within their point of sale — speeding up operations, reducing incorrect orders, eliminating the clutter of excess tablets, and giving restaurants an omnichannel view of their sales and diner base. Over 100 restaurants and hospitality groups across the U.S. are already using Square for Restaurants, including Bar Agricole in San Francisco, Boke Bowl in Portland, The Populist in Denver, Greca in New York City, and Philadelphia’s CookNSolo group, which also has implemented Caviar integration at Rooster Soup Co.
Like other vertical offerings, Square for Restaurants gives sellers integrated access to Square payments processing and its full ecosystem of products and services, including Payroll, Capital, and more. Interested in Square for Restaurants? Try it today. 1Includes one point of sale. Add additional points of sale for $40/month, per location. Contact the Square Sales Team. Our team can help simplify your operations, find your custom rate, and get you set up with the right solution to meet your business needs.